At the intersection of Content, Design & Delivery. It’s more sophisticated and personalized and I believe we have only begun to elevate the art and science of Digital Marketing. 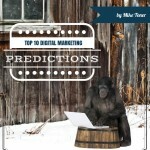 With that in mind and end of the year predictions among us- I present to you, My Top 10 Digital Marketing Predictions for 2014. 10. 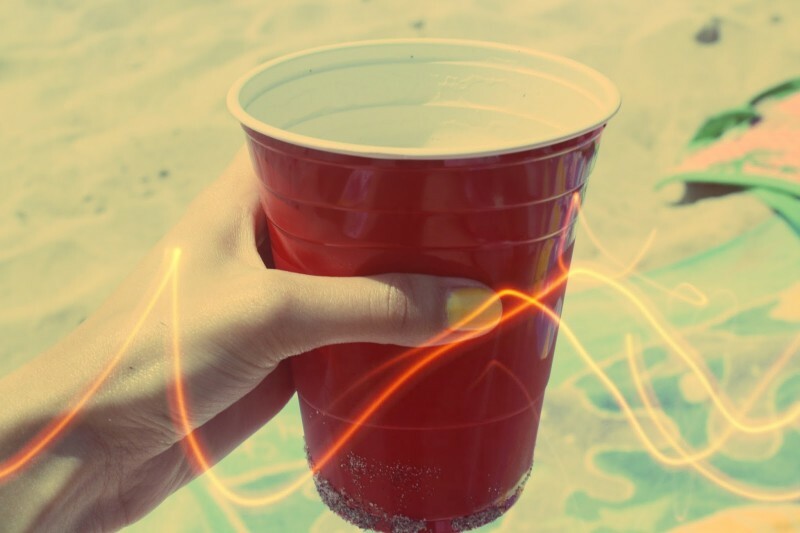 Brands move into more branded content better tailored for individual networks. Infographics go on visual.ly, short video stories on Vine, photos on Facebook, tweets on Twitter ( wait?.) Yes, tweets are for Twitter. You get the idea- tailor the content for the audience and for the platform. The medium is the message. 9. Twitter figures out how to better personalize the stream to filter out the news and information that I want, when I want to see it and from the people I care about. Twitter also pushes hard on the Social TV phenomena and leverages the partnership with the networks to be the official social network of the 2014 Olympic Games. 8. Mobile First becomes a reality as mobile web traffic overtakes desktop viewing for most brands for the first time. ComScore predicted this event nearly 2 years ago. For websites that didn’t take this seriously. Time’s up. 7. Privacy and security implications for digital marketing and digital tracking take on a heightened importance as more and more big brand companies push to reform Government Surveillance. 6. Digital Marketing is the new Content Marketing. 5. ‘Omni-Channel Marketing’ gains popularity as an industry buzzword. 4. SEO Dies. So does the press release. Content remains King. 3. Social Media becomes more and more integrated into everything we do and everything we do is easily broadcasted and shared with our friends. These moments in time, these short videos, or filtered photographs or short bursts of wittiness take part in all aspects of life, be it -work, family, hobbies, business, schools- all aspects of life itself. Take the idea of ‘Social Business‘ which, perhaps could be a bonus prediction on it’s own- Social Business, is just that, business- one aspect of our life that can ALSO be shared socially. 2. Analytics and measurement become more sophisticated and predictive, allowing marketing departments to better determine a prospects buying behavior. Retailers had this science figured out years ago; B2B marketing is catching up and using this type of Big Data analytics. Digital Platform Management as a Service: DPMaaS. Think about it. Your Digital Marketing platform, your Digital Recruiting platform, your Digital Sales platform- merged into one-cohesive project management, social content, funnel pushing, sales producing, digital machine. Everything working together. What else do you expect to see in Marketing or PR in the New Year? What’s changing in your industry? Based in Alexandria, Virginia Michael is the Manager of Social Media at Navy Federal Credit Union. By evening, he's a husband, dog owner and runner. Toner writes about social media strategy, tools, training and best practices for social and digital marketing programs.